For an industry in which everything seems to be getting smaller, at least one thing is bucking the trend: the overhead bin. The AP reports that major U.S. airlines are making overhead bins larger in order to accommodate bulkier luggage and an influx of carry-on bags. United, American, US, and Delta are all jumping on the bigger-bin bandwagon. Some carriers are outfitting bins with tougher latches; others are replacing overhead-bin doors with ones that curve out, allowing for more space for passengers’ suitcases. Boeing is also taking steps to increase storage space on planes, and is designing larger bins that can contain more carry-on luggage. Indeed. American, US, Delta, and United all charge $25 or more for first checked bags. Anyone who’s flown on a major carrier in the past few years can appreciate one of the great benefits of boarding the plane first: you’re one of the precious few who can fit your bag in the overhead bin. Board a full plane late, however, and you’re left either squeezing your duffel into a space the size of an airplane pillow or checking your bag at the gate. 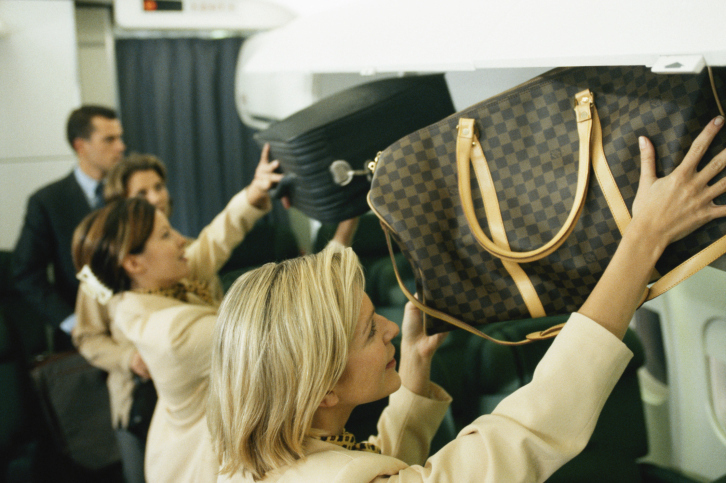 Are you surprised that airlines are adding more overhead-bin space?